Personal insurance is not exciting and there are plenty of other things to spend your money on, rather than paying premiums for life insurance or an income protection policy. But what if you do. Need it, that is. Over the last five years, DSAS has helped 25 clients and their families make claims against their Life, TPD, Trauma and Income Protection policies. In all, through the insurance companies we work with, more than $6.3 million has been paid out to alleviate the financial stress that comes with serious illness, injury and death. I can tell you quite honestly, that not one of those clients ever thought they would need to make a claim. They also didn’t come to an initial meeting with me wanting to buy an insurance policy, just because they didn’t have one yet and thought it would be good to have! With the benefit of hindsight though, they would all acknowledge it was probably one of the most important financial decisions they ever made. And that the cost was worth every dollar spent, even if there were times that they wondered if they could continue to afford it with so many other household expenses. 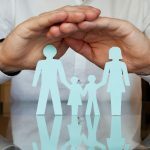 So, it might be that the greatest initial value of making the decision to act now and sort out a protection strategy for you and your family is peace of mind. If you ever need to make a claim, you will find that the value goes way beyond that – being insured at the right level for you gives you control over your future, even when life doesn’t go exactly to plan. Here are some of the really common reasons why people put off putting in place personal insurances. The funny thing is that people don’t hesitate to insure their house against damage. Most wouldn’t drive a car out of the driveway without insuring it against a crash, but what about insuring the driver? Your most valuable asset is actually your ability to earn an income, yet so many people don’t think about this, much less do something about it. We all know people who were underinsured and could no longer work because of illness or injury; and we may also know a widow who can’t support her family after the unexpected death of her uninsured partner. It’s expensive compared to what? This is actually the best time to sort out insurance. If you are healthy and don’t have any pre-existing health issues, then the level of cover you can access is far greater. If you do have some existing health issues, this doesn’t mean you cannot get cover but you may be subject to loadings or exclusions for certain conditions. One of the common limitations to weigh up with employer benefit policies is that the policy is often not transferable – so if you change your employment situation, this can leave you without any cover. Often it is worth considering having a standalone policy that complements the employer provided policy, and plugs any gaps in policy features. It’s important to understand that the devil is in the detail and to make sure that the policy you hold is tailored to your specific needs. Industry super funds with insurance benefits built in have essentially been designed to provide a base level safety net. The vast majority of income protection policies within industry super have a limited two-year benefit period – which isn’t much help if you find yourself unable to work again at the age of 35. The insurance benefit amounts are also rarely enough to cover existing levels of debt or existing income payments – again, you must make sure the level of cover is matched to your needs and reviewed regularly to adapt to your changing circumstances. Many people think that personal insurance can wait until there are kids on the scene. It’s true that this is an excellent catalyst for sorting out having cover in place if you haven’t addressed it before you start a family. But essentially, if there is anyone in your life who would directly suffer financially from your loss or something happening to your ability to earn money, then get it sorted. Call me for an obligation free initial meeting – it won’t cost you a thing and is an opportunity to see if we can help and if we are a good fit for each other.